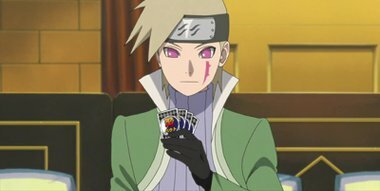 Tsurushi Hachiya had been with Kagura throughout the Academy years, and now he finds Boruto a nuisance, and attempts to draw Boruto and his friends out by abducting Denki. In an attempt to save Denki, Boruto and his friends join Kagura, and head towards Hachiya, and battle with a large group of allies that had been gathered against them. During that time, a truth that Kagura had been hiding comes to light.